In December, a New York State resident pled guilty to failing to pay over employment taxes to the Internal Revenue Service. Falling behind on withholding payroll taxes—or failing to pay them—is a common and serious form of tax fraud. On the business side, employers and business owners know they are required to withhold Social Security, Medicare, and federal income taxes for each person in their employ. In addition to withholding the money, employers must account for and pay the money to the IRS. Pretty straightforward stuff, but there are a number of ways that the employment tax process can go amiss. All tax crime starts somewhere. 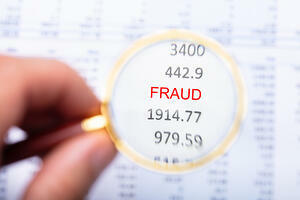 Especially in higher tax brackets, accidental employment tax fraud does not often occur. Instead, financially stretched business owners can see temporary relief in holding on to monies that would otherwise pay the tax obligations of their company or their employees. Filing fraudulent tax returns: Underpaying taxes due, or failure to file employment tax returns are common dodges involving employment taxes. The idea is to avoid employment taxes through deceptive tax reports. “Pyramiding:” In a pyramiding scheme, administrators or business owners skimming employment taxes properly withhold employment taxes, but fail to turn them over to the IRS. This sometime occurs in companies awash in red ink, as well as in fly-by-night companies set up purposely to carry out a tax fraud. Cash under the table and employee leasing: Companies that pay in cash or completely outsource their workforce are often looking for ways to avoid employment taxes altogether, or to withhold the taxes and disappear before they are caught. These are not new or novel mechanisms of employment tax fraud. Oftentimes a business owner can become so enmeshed in the criminal enterprise, they may convince themselves they will not get caught, or what they are doing is not really a tax crime. When the IRS comes calling, the situation quickly turns serious. The IRS rigorously pursues criminal sanctions against persons suspected of employment tax fraud. The New York State resident we mentioned earlier withheld almost $700,000 in employment taxes between 2012 and 2016, without paying it over to the IRS. For his labors—and the conviction—he could spend five years in prison, plus probation, restitution, and of course, a devastating loss of livelihood and reputation. Our firm knowledgebly represents corporate and business persons involved in employment tax disputes or those who are the target of a criminal tax audit. The most important thing to remember is that the sooner you obtain trusted legal help, the greater your opportunity to manage the tax controversy before it takes a more serious turn. Serving clients nationwide from offices in Cleveland and Chicago, the law firm of Robert J. Fedor Esq., LLC delivers strategic, straightforward legal guidance on tax litigation, IRS audits, and criminal tax matters. Contact our legal team today.